Back in 1992, they were presented as a modern day Abba, the Swedish quartet Ace of base. And they certainly started out promising: 'All that she wants' quickly became a number one hit in Denmark, the UK and Australia. The single was certified Platinum in the United States, where it peaked at number 2. It is one of the highest-selling #2 songs of all time in the States: it stayed in the top three songs on Billboard Hot 100 list for three months, but never actually reached the peak position. Although the band still exists, both female members have left the group a few years ago and have been replaced. Their albums were all less successful than its predecessor: debut album 'Happy nation' selling 21 million copies worldwide, while the 2002 album 'Da capo' only sold half a million copies. 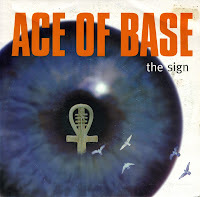 'The sign' was the first single taken from Ace of Base's second album 'Happy nation'. The single continued the success story of the Swedish band, as it reached number 1 in America, Australia, Canada, Argentina, Spain and Austria. In the Netherlands, it reached number 3 and in the UK singles chart, it peaked at number 2. 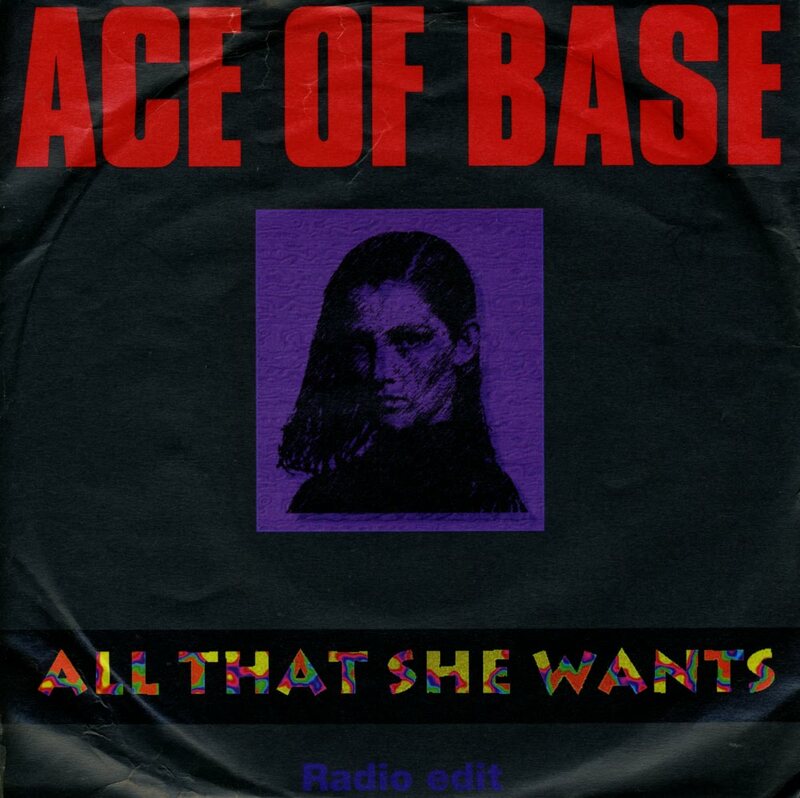 After this single, Ace of base continued to release albums and singles, but this was their last big hit worldwide. 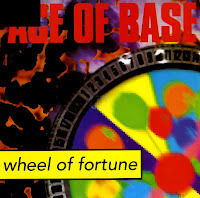 'Wheel of fortune' was originally the debut single by Swedish pop group Ace of base. It was released on a small Danish independent label in April 1992. It failed to reach the chart on its first release. The first re-release was also unsuccessful. 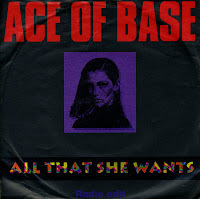 It was after Ace of base had a worldwide hit with 'All that she wants' that 'Wheel of fortune' was re-released for the second time. On that occasion it reached number 20 in the UK singles chart and number 2 in the Dutch Top 40.